Enter the secret garden and stay in one of Laceby Manors unique quirky pods. 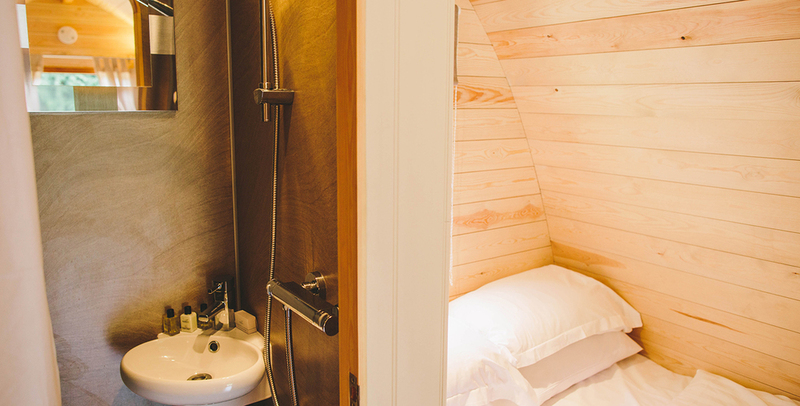 Each Pod has a double bed, bathroom with shower and a combined sitting area and kitchenette. Pod guests also have use of the communal fire pit and outdoor dining area in the sheltered garden. Some Pods have large outdoor hot tubs, which can be selected upon booking. 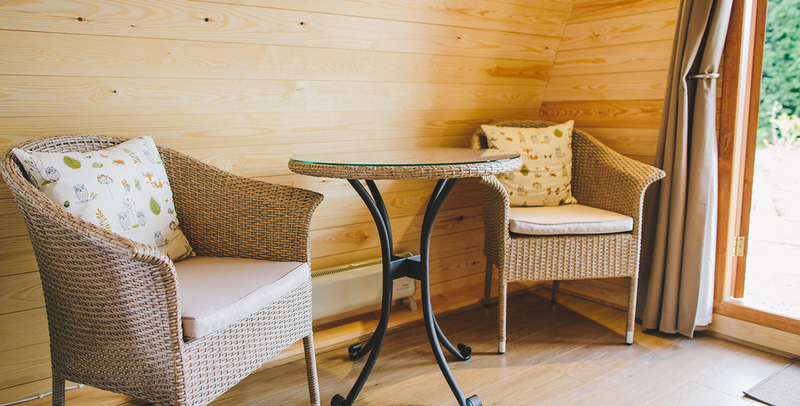 Our location provides access to a host of activities and destinations including Lincoln Cathedral and market town, Louth, The Deep Aquarium Hull, Cleethorpes beach, cycling, walking, fishing and horse riding. Amazing. No other word to describe it! Booked a 2 night break in the Secret Garden Pods (which is just as idyllic as it sounds). The Pod was lovely and clean. The Hot tub was lovely in the cold evenings. We were the only guests in the pods so total peace and quiet. Also had a complimentary round of golf on a beautiful course with many friendly locals. Would head back here in a heartbeat. Brilliant value for money. All the staff are extra friendly and helpful. Unfortunately the restaurant was not open during our stay but would highly recommend the Ship Inn which is 5 minutes drive with excellent food. We will definitely return and would recommend Laceby Manor to anyone looking for a break! BRILLIANT!! We have just got back from a stay in one of the pods here... was just the best night away, out of the normal and something completely different! I would reccoment highly! Rather small so 2 people is all there can be. There's a sofa, double bed, small kitchen area with fridge and table n chairs!! Lovely area with just 6 pods one has a hot tub! Outside seating and very peaceful. Lovely night way. My boyfriend and I stayed in the Garden Pods at Laceby Manor Golf Club on the bank holiday weekend, having seen in as a last minute deal. The 4-hour journey was definitely worth it! We couldn't have asked for anything more. The staff and cleaners were all extremely friendly and helpful. The grounds itself were stunning! The garden pods are located in a secret garden, which allows it to be completely private from the golf course as a whole. With two outdoor chairs as standard, we were able to watch the stars before going to bed. We weren't expecting to get much sleep but infact the beds were SO comfy.. we woke up telling each other how good our backs felt! The garden pod was surprisingly spacious with everything you need (except an oven, although the communal bbq looked very inviting - which you share with the other 5 pods). I would definitely recommend this place to others and will be re-visiting! We can't wait to come back again. This was the best UK getaway we have had. My wife and I stayed for 3 nights in the VIP garden pod with hot tub and had an amazing stay. From the moment we arrived the staff were friendly, polite and very professional and a special mention must go to Steph who was great for the whole of the 3 days. As my wife uses crutches we had telephoned when booking and had been advised the pods are a short walk from the car park and this was very true but for some one with mobility issues it would have been harder. Steph went above and beyond and offered us a golf buggy which made getting to and from the pod every day much easier which my wife appreciated a great deal!! The setting for the pods is beautiful - quiet and tranquil, of course you have to remember you are in the middle of a golf course so the occasional stray golf ball and golfer is to be expected. We did not mind this at all and cheerily said hello to golfers whether we were in the hot tub or not. On the last day of our stay to celebrate a birthday we had breakfast in the Round Bar - eggs benedict were amazing! Then in the evening we had a table booked in the restaurant which was superb. A beautiful restaurant with friendly staff, stunning view over the course and the food was tasty and well presented.